Once again, I had to make that all-important annual decision to keep my computer network free of viruses. My network security subscription was about to expire. As much as I am not a fan of spending the money on IT security, it is a necessary preventative measure. Between viruses, spyware, and hackers, your computer system is vulnerable and can be infiltrated in as much time as it takes for your operating system to load – maybe less. 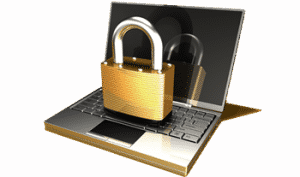 Computer network security programs can run from inexpensive to expensive, based on quality and options. In reviewing your options, be sure to exhaust avenues of finding your security product at the best price. To get the best price for my security software, I reviewed several different purchasing options. As I was dealing with a time constraint, I knew I could not wait for the next week’s advertisements to show up. I checked that week’s box store advertisements, and also went to those store’s websites to see if internet security software was available on any daily deals. I also reviewed several online-only sites for the best price. In this case, all were pretty comparable, except one website that offered the security software in the form of a download at a substantial savings – roughly $30 less than the next best price. But I was not sold just yet that I had been completely exhaustive in my search. My next to last step in searching out the best price was to contact the security software manufacturer to see if they could match the lowest price. The previous year, instead of purchasing the software at a store, I had renewed the subscription directly through the manufacturer at a good cost savings. But this year, I did not get that offer. In calling to inquire, I felt the best option would be to renew again through the manufacturer. The customer service representative was friendly & accommodating, however, the manufacturer’s lowest price did not come anywhere close to matching the best price on the market. I addressed this with the agent in order to make the company aware. From a business standpoint, the manufacturer would have been better matching the lowest price in order to receive all of the revenue instead of sharing it with a retail agent – especially when the service options are equal. In the end, I purchased the security software from the online website instead of directly from the manufacturer. The download worked easily for my needs, and my computer network is as protected as it can be from hackers. I also feel good that I exhausted all options for the best price. Calling the manufacturer was a learning experience, complete with an explanation from the customer service representative as to why the manufacturer could not match the lowest price. I am still surprised that a manufacturer would let revenue slip through their fingertips, but at least I am armed with a better strategy for renewing my subscription next year. Once again, searching for the best price can reveal different options & services for you to choose from regarding your home internet security software. Honestly, I find the best to be Comodo Antivirus. It’s completely free, they are trusted because they run VeriSign, the people who sell the security certificates to websites that wish to be secure to have the “https”. Without this verification or web certificate proving they are a legitimate site, the website would prompt your browser to prompt a window that says this site should be untrusted. So, in other words Comodo is a big internet company you just don’t know it. I use it and my computer runs wonderfully, and the program doesn’t annoy me either. You’re able to control your settings. Also, it’s not BLOATWARE like Norton that wants to drain you of money. When it finds viruses or malware, it truly destroys them rather than asking you to purchase a paid account (which is also an option) I’ll never change anti virus software, this stuff is awesome. I truly appreciate your tip Abby! I have been on the Norton train for several years now….and loathe it. I’ve found it difficult to resolve any issue that’s come up (and had a good crash scare a few months ago) even though for the most part…it handles most of my day to day internet.